Looking to hire The Box Tops for a private party, fundraiser, gala, public concert, wedding, college, fair or festival worldwide? BookingEntertainment.com makes it easy to get available dates, pricing and fees for booking The Box Tops. Fill out an entertainment request form and a The Box Tops booking agent who can assist you in booking The Box Tops will get back to you to discuss booking The Box Tops for your event. During their brief lifespan, the Box Tops earned a reputation as one of the best blue-eyed soul groups of the '60s, even if their recorded legacy wasn't as large or consistent as, say, the Righteous Brothers or the Rascals. Today they're remembered not only for their smashes "The Letter" and "Cry Like a Baby," but as the launching pad for singer Alex Chilton, who went on to become one of rock's most revered cult figures thanks to his groundbreaking power pop unit Big Star. In his teenage years, Chilton was an amazingly gritty Memphis soul belter akin to an American version of the Spencer Davis Group's Stevie Winwood. The Box Tops' music also encompassed touches of pop and psychedelia, although the group's own lack of control over it eventually led to their split-up. The Box Tops began life as the Devilles, a white R&B group featuring guitarists Gary Talley and John Evans, bassist Bill Cunningham, and drummer Danny Smythe. After the band's local popularity blossomed, teenage singer Alex Chilton joined up, and the Devilles quickly caught the attention of songwriters/producers Chips Moman and Dan Penn, who were on the lookout for a Stevie Winwood-type white soul singer. Changing their name to the Box Tops to avoid confusion with a different group of the same name, they signed with Bell Records and began recording at Moman's Memphis-based American Studio. The first single the group cut, "The Letter," rocketed to the top of the charts in 1967, not only spending four weeks at number one but ending up as Billboard magazine's number one single of the year. (Chilton was all of 16 at the time.) With a hit on their hands, Penn began to exert more control over the group; in the wake of "The Letter," he frequently used session musicians on the Box Tops' recordings, sometimes replacing the whole band behind Chilton, sometimes just individual members. Frustrated, Evans and Smythe both left the band to return to school in early 1968, and were replaced by Rick Allen (ex-Gentrys) and Tom Boggs, respectively. The follow-up to "The Letter," "Neon Rainbow," didn't do nearly as well, but the Box Tops managed another massive hit in 1968 with the Dan Penn/Spooner Oldham tune "Cry Like a Baby," which went to number two on the pop charts. Although a couple of minor hits followed in "I Met Her in Church" and "Choo Choo Train," Chilton was rapidly growing dissatisfied with the inconsistency of the material the Box Tops were handed (which was clear on the three LPs the group had released through 1968). As a result, Chilton was chafing at Penn's extreme reluctance to allow him to record his own original compositions. By the time of the Box Tops' fourth and final LP, 1969's Dimensions (an attempt to make a more cohesive album), Penn had bowed out and moved on to other projects. Several Chilton songs appeared on Dimensions, including "I Must Be the Devil," and the group had one last minor hit with "Soul Deep." Cunningham subsequently departed, also to go back to school, and the Box Tops began to disintegrate. When their contract expired in February 1970, they officially disbanded, and Chilton moved to Greenwich Village for a while. Not finding the creative hospitality he'd hoped for, Chilton soon returned to Memphis and joined an Anglo-pop outfit run by his friend Chris Bell; they morphed into Big Star, one of the most revered and mercurial bands in power pop (or, for that matter, underground rock & roll) history. 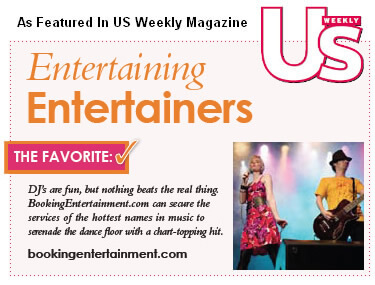 The booking agents at Booking Entertainment have helped clients book big name entertainers like The Box Tops for private parties, corporate events and public shows around the world for over 20 years. Our agents will be happy to assist you with any of your big name entertainment buying needs. All you need to do is fill out an entertainment request form or call our office at (212) 645-0555, and one of our entertainment agents will help you get pricing information and availabilities for The Box Tops or any other A-list entertainer for your next event. How Much Does It Cost To Book The Box Tops? Looking for The Box Tops booking fee and pricing? When you are booking an act like The Box Tops, many factors determine the final price, including the artist's touring schedule and other shows they may have in your area. Fill out an entertainment request form or call our offices at (212) 645-0555 and one of our booking agents will get you a pricing fee and availability for your date and assist you in booking The Box Tops or a different big name act for your next event. How Do I Hire The Box Tops For A Private Party? The booking agents at Booking Entertainment have been booking and producing big name acts for private parties worldwide for almost 20 years. Whether you are looking to book The Box Tops for a birthday party, Bar Mitzvah, Bat Mitzvah, wedding or anniversary party, your assigned Booking Entertainment agent will be happy to help you to book The Box Tops and take care of everything to make sure the show is executed flawlessly. Fill out an entertainment request form or call our office at (212) 645-0555 and one of our booking agents will assist you in hiring The Box Tops for a private event. How Do I Book The Box Tops For A Fundraiser or Gala? We have a number of clients that are looking to book The Box Tops or other big name acts for fundraisers and galas. Your assigned Booking Entertainment agent will be happy to help you to book The Box Tops and take care of everything to make sure the show is executed flawlessly. Fill out an entertainment request form or call our office at (212) 645-0555 and one of our agents will assist you to book The Box Tops or another celebrity talent for your next fundraising or gala event. How Do I Book The Box Tops To Perform At My Wedding? You might ask yourself, "Can I get The Box Tops to sing at my wedding?" We have a number of clients that are looking to book The Box Tops or other big name acts for weddings and wedding ceremonies. Your assigned BookingEntertainment.com agent will be happy to assist you in hiring The Box Tops to perform and make sure your wedding entertainment is executed flawlessly. Fill out an entertainment request form or call our office at (212) 645-0555 and one of our agents will get you a pricing fee and availability for your date. Booking Entertainment will assist you to book The Box Tops or another celebrity talent for your wedding. Who Is The Agent For The Box Tops? The agents at Booking Entertainment have booked big name acts like The Box Tops for clients around the world for almost 20 years. Although we are not an exclusive agency, we will assist you in submitting your offer to the appropriate company for consideration. When the offer comes from us on your behalf, you benefit from our reputation and relationships. Fill out an entertainment request form or call our office at (212) 645-0555 and one of our agents will assist you to book The Box Tops for your next public, private or corporate event. How Do I Book The Box Tops For A Corporate Event? Booking big name entertainment corporate events is a great way to thank your employees and clients, as well as a fantastic way to promote your company's image. The booking agents at Booking Entertainment have been helping clients book big name acts like The Box Tops for corporate events worldwide for almost 20 years. Whether you are looking to book The Box Tops at a trade show or an employee appreciation event, your assigned Booking Entertainment agent will be happy to help you to book The Box Tops and help to make sure that every aspect of the show is taken care of to make sure the show is executed flawlessly. Fill out an entertainment request form or call our office at (212) 645-0555 and one of our entertainment agents will assist you to get pricing and availability to have The Box Tops or another headline talent perform at your next corporate event.